This long-awaited follow-up to SHHH! – though I didn’t know anyone was waiting for a follow-up, and hadn’t intended one! – has all the same elements to grip children as you, the reader, lead them with trepidation through a landscape that threatens danger and bears. 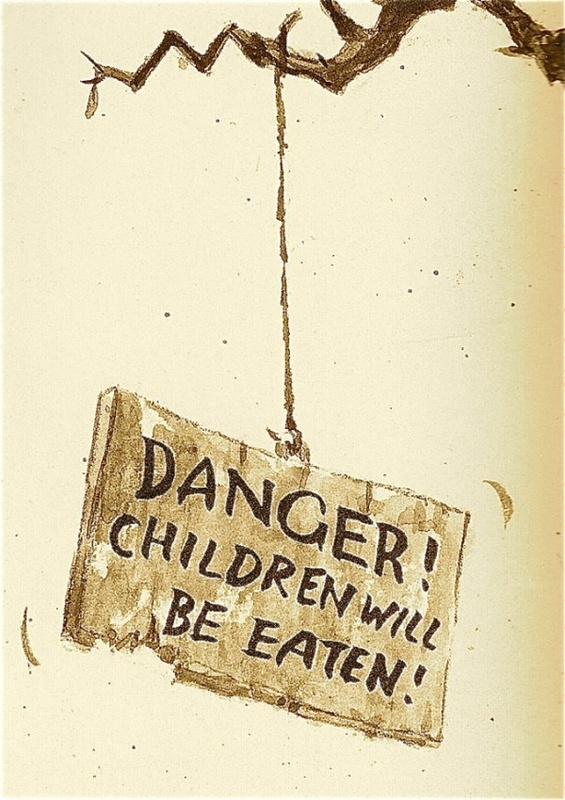 Despite the continuous warnings to ‘Keep Out’, children will no doubt plead with you to continue, even past signs that threaten ‘Children will be eaten! Keep a lookout on the way for things that come in threes, she says mysteriously! 1) Don’t miss the faces on the trees and the little creatures that populate the background foliage, the pathways, the pond (Jaws! ), the river and the gardens. 2) The narrator is a reluctant participant in the journey through the book. The more reluctant the better! Ham it up! 3) It’s the child listener who will keep the narrator going. When the narrator wants to turn back, the listener will want to continue forward – even if it means saying ‘please’! Even if it means there is a chance of being eaten, and even though the threat of bears is continuous. 4) There are lots of ‘threes’ of things to look out for throughout. I wonder why! They may not be immediately obvious, but this is something to go back over with children. 1) Keep Out! is carefully designed to be interactive, with the narrator continuously asking questions or making suggestions for the child listener to respond to. 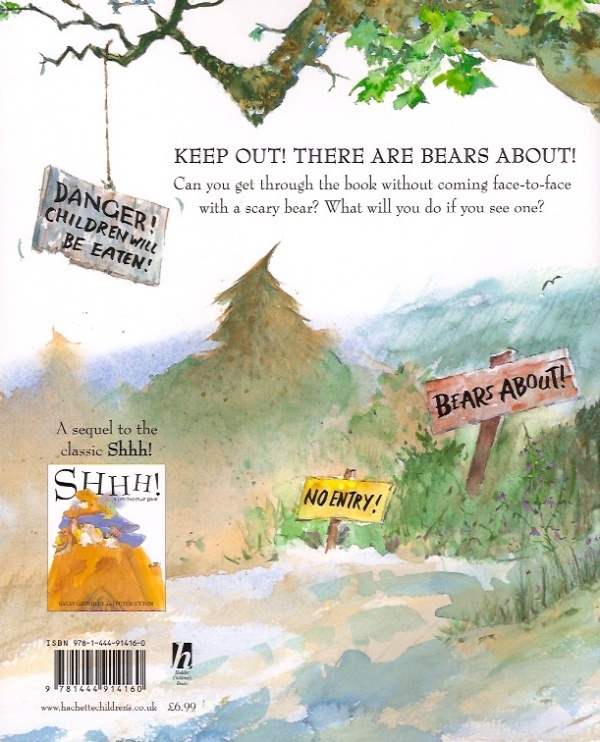 2) The tension builds up throughout the story, with the narrator less and less happy at continuing and the chance of coming across a bear more and more likely. 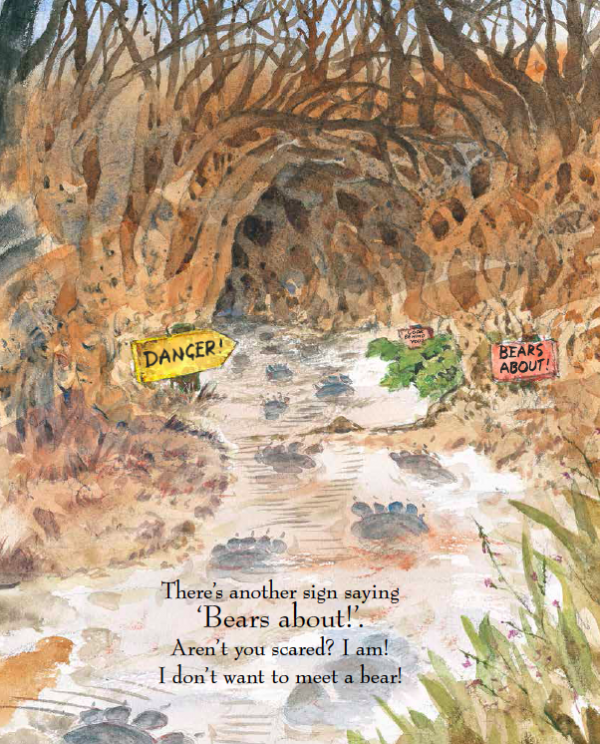 3) One by one the three bears appear: baby bear is asleep, Mummy Bear has her back to us and is therefore not such a threat, but first Daddy bear’s shadow falls and then Daddy Bear himself arrives. Now we are really SCARED! and it’s time to slam the book shut to keep Daddy Bear in. Let a child do that! 1) Go back to the original story of Goldilocks and the Three Bears. 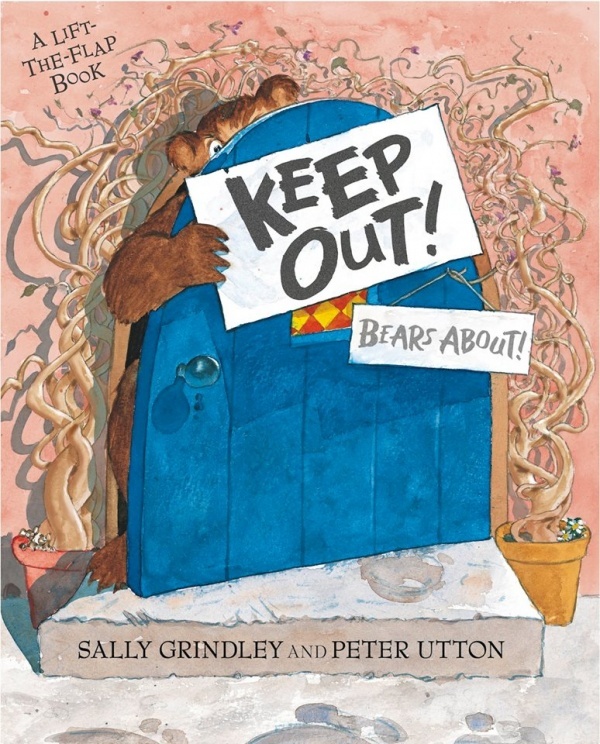 3) What things that are mentioned in the original story can be found in Keep Out! (mostly in the illustrations)? 4) How many sets of three things can you find in the illustrations, some of which come from the original ‘Goldilocks’ story?